For me, the key to simplification is integration. Until now, I couldn’t bring myself to part with any of my bikes because they each have one or more attractive features I have been unwilling to sacrifice for space or simplicity. The reason at least two framesets (plus several parts) will be sold off this year is that I believe the newest frame includes most of my favorite features. First, it is made of steel. All my current bikes are steel bikes. I’ve ridden aluminum, carbon, and titanium, but prefer the feel of a good steel frame. I’ve read that a skilled builder can make any material “feel” like a steel frame. Yeah, okay, maybe. I know I like steel so why not start there? Next, it has lugs. This is a feature provided by my Trek 660, A. Homer Hilsen, and Quickbeam. 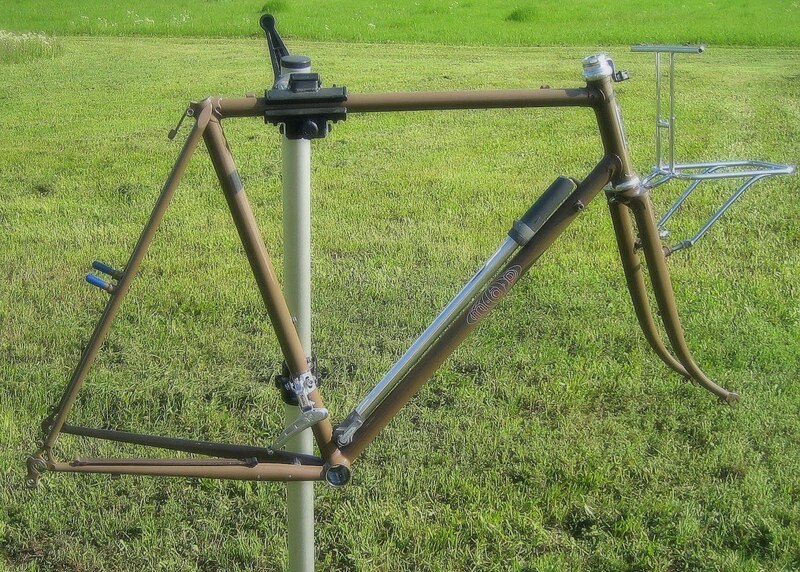 I believe that welded steel frames are just as strong and light (arguably more so) as a lugged frame. But lugged frames look nicer to my eye. The MAP has simple, but elegant lugs. The MAP frame is built with “traditional” standard diameter thin wall tubing. This is a feature provided by my Trek 660 and Kogswell P/R. Since I am relatively small and light, I find that oversized diameter tubes make the frame a little too stiff for me. I like the comfort and energetic springiness of more flexible frame. The MAP frame has very thin walls and is noticeably lighter than my other frames. The new frame is built for 650b wheels. This is a feature provided by my A. Homer Hilsen and Kogswell P/R. I spend a significant percentage of my saddle time on gravel, or poorly maintained, county roads. The wider tire greatly enhances ride comfort and, with the Hetre, still rolls pretty fast. The MAP frame is designed for wide tires and fenders. The new frame is designed for front loading. This is a feature that I enjoy about my Kogswell P/R. The low trail geometry allows for a front mounted bag without adversely impacting the steering. This geometry is also less susceptible to cross wind influence, and where I ride there is almost always wind. I like having a front bag and accessing it while riding. The MAP frame, with it’s custom rack/decaleur looks to be a better solution than the Kogswell set-up. Finally, the only the MAP has a level of craftsmanship that I’ve only seen on custom built frames. If I were to have Mitch make me a frame, it would be very similar to this one. It is a better fit and is anticipated to be a better performer for my weight and riding characteristics than any of my production bikes. The frame is a beautiful creation of Mitch Pryor of MAP Bicycles. It was his personal bike, and a prototype for his annual “Randonneur Project”. A photo of this frame built up the way Mitch had it is available on his Flickr Photostream. He included the custom front rack, the polished frame pump, and two front derailleurs (one each for double or triple crankset) in the sale. Lucky for me, it happens to be my size. I thought about calling this bike “The Integrator” because it brings together so many features from my other bikes. I could call it “The Replacement” because it will free me up to let a significant amount of bikes and parts be sold. But I think I’ll call it “Maynard” because, as I’ve started to add parts, it’s beginning to look like Maynard to me. 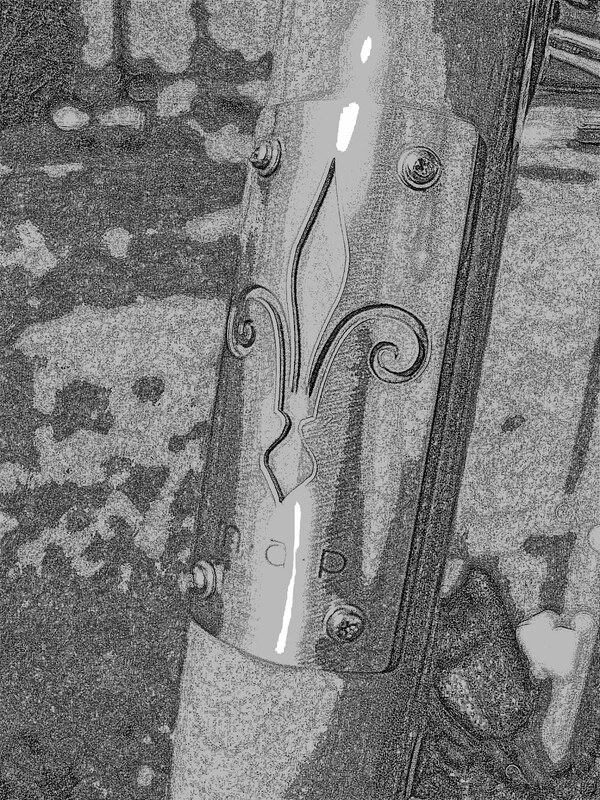 Got this cool frame on the bike stand begging for build up. But I’ll be out of town all next week.